I noticed a significant bump in readership this week. Some of it is traceable to my new MySpace Frankensteinia presence (if you’re on MySpace, add me!) and some of it is due to interest generated by the broadcast on the Sci-Fi network of a Ghost Hunters International episode on Frankenstein’s Castle. 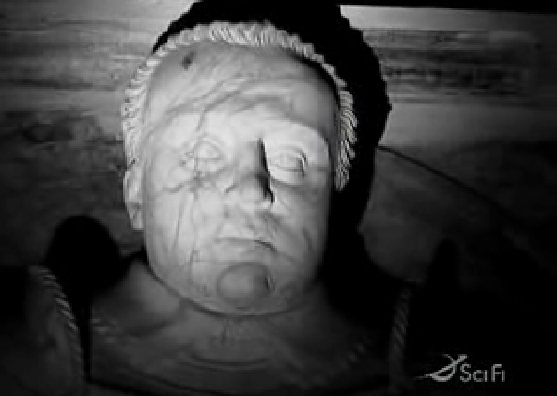 The show focuses on purported ghostly happenings at the Castle ruins in Darmstadt, Germany, with only a passing reference to Mary Shelley having supposedly been inspired by a visit there. Mary’s famous novel is described as being “about a mad scientist who created this monster out of body parts”. No kidding, that’s a direct quote. And this, by the way, seems to be the standard level of research expended for the entire program, which turns out to be something halfway between Scooby-Doo and Reality TV. Legends, folklore and rumors are the hard facts upon which our intrepid reporters base their investigation. We are treated to lots of quick-edit fisheye shots of the rather nondescript castle (nothing at all like the one in the photograph above), accompanied by a mournful Halloween soundtrack. 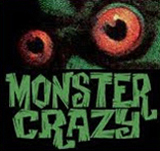 Most of the program is shot in spooky night-vision black and white, the player’s eyes glowing eerily as they stalk the castle overnight with their handheld digital ghostbuster equipment. “Entities” we are told, “communicate with sound that is beyond human hearing”. The team’s Ludicrous Meter must have gone off the scale when they stood around asking questions out loud, trying to raise a medieval German knight and his ghost fiancée. I’m guessing that the “entities” present *have picked up some colloquial American over the 400 years they’ve spent haunting the premises and that they understand the concept of speaking up “so we can tape you”, and the meaning of the command to “rock the pews”. Best laugh in the show comes when one of the investigators shouts, “Yo, hey! Come on out! Let’s go!”. Nothing much happens, except for host Donna Lacroix being “freaked out” by moving shadows. We visit a bare room billed as “Frankenstein’s Secret Laboratory” and a tiny chapel occupied by a statue of a bad luck knight who broke his neck and is said to have hung around forlornly ever since. He puts in an appearance of sorts, rattling a doorknob. The Ghost Hunter team interview “Frankenstein expert” Walter Scheele, a charming man who’s excellent, slightly accented English is inexplicably subtitled. Mr. Scheele, by the way, is the historian who floated the disputed theory that Mary Shelley knew about the experiments of alchemist Konrad Dippel and used this as a springboard for her tale. 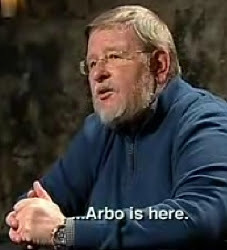 At the end of the program, Mr. Scheele identifies some recorded noise as a voice saying, “Arbo ist hier!”, and that’s the clincher. 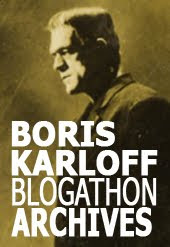 Ol’ Arbogast von Frankenstein himself checked in, so it’s case closed. The team auto-pronounce their rather uneventful evening “a complete success!”. Mr. Scheele’s restrained, polite satisfaction is interpreted as “over the moon” and he is said to have been “totally taken aback and dumbfounded!”. The hosts are shamelessly self-congratulatory throughout the program and completely bowled over by their own “methodology and protocol”. In the end, your reaction to the program will depend on whether you judge it by what you’ve seen, or what the enthusiastic hosts tell you you’ve seen. 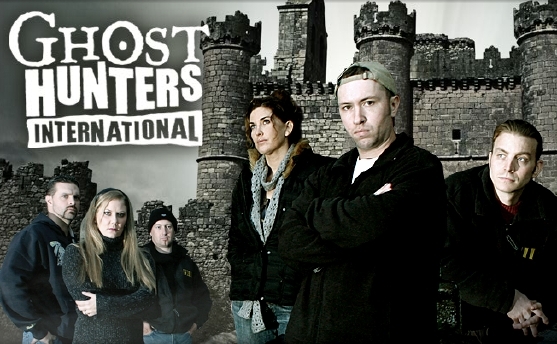 The program is viewable online on the Sci-Fi network’s Ghost Hunters International website. Streaming will not work if you’re outside the U.S., but you can see it in five chunks on YouTube, starting here. 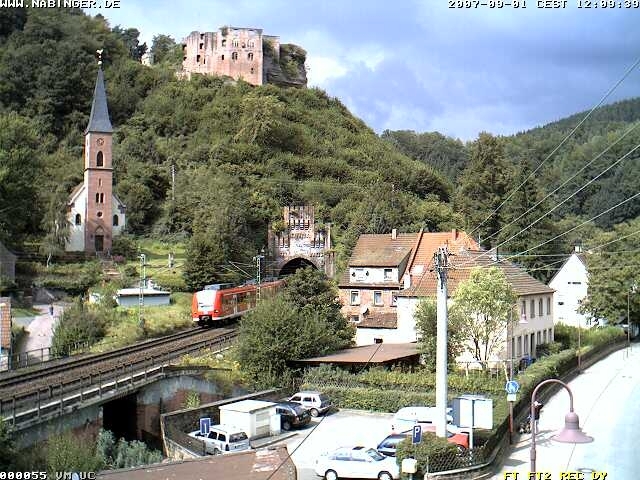 I blogged previously about Castle Frankenstein here and here, and you can see the Castle itself live on the Burg Frankenstein webcam. that's the description of pretty much every episode. OK, I suspected as much. The premise is paper thin, so the formula can’t change much from one show to another. I think the 2 things that surprised me most were the poor production values and the lack of feeling for the location. The castle might as well have been in downtown LA for all the local flavor they captured. The team clomping around like they owned the place and yakking it up with the locals (not to mention ghosts! What a joke that was!) in American English was particularly disconcerting. Hey, hire a translator and try speaking to people in their own language when you are guests in their country. Yes, the lack of activity is disconcerting. The jiggling latch was of interest, though not quite a show-stopper. This international mix is not really adding any pizzaz. I'm looking forward to the return of the regulars. I like Jason and Grant much more than the group they've assembled for this excursion into the netherworld. After the rosary beads started coming out, I thought to myself I hope they don't meet any non-religious ghosts. If I have to suffer any more "I saw shadows" reactions, I'm going to throw in the towel. It's amazing the camera never catches those darn shadow-thingies. I have to agree that I am not impressed with the GHI crew like I am with the regular GH crew. The GHI crew is excitable, to put it lightly. I am American and I agree, why are they speaking in English to entities that wouldn't know what they were saying? I don't discredit the existence of ghosts but unless someone teaches English in the afterlife I'm thinking that these European ghosts aren't going to understand a thing the GHI crew is asking. I would love to see someone go in and ask questions in the native tongue. I also had no idea why they subtitled Mr. Scheele, he spoke very good English. I'm finding GHI to be an embarrassment to the GH name when it had so much potential. Yep, unfortunately this is Ghost Hunters we're talking about here. They make Peter Venkman look like Jacques Cousteau.